Wood slices have become quite the trendy craft supplies in recent years and I’ve had fun playing around with them in my own crafting. They bring a natural coziness to any project and are especially fun to craft with during the cold months of winter! For my latest Oriental Trading project, I used their mini wood slices to create trivets for my kitchen. I can never have too many trivets to put a hot pot on. It is super simple to craft up a set of these for yourself or as gifts. Of course plain wood slices would have been a little too dull for my tastes, so I had to add some pops of color with some craft paint! They are perfect for setting my french press coffee pot on. I learned my lesson several years ago when I set the coffee pot directly on our dining table and it left a permanent white ring on it because of the heat. Oops! 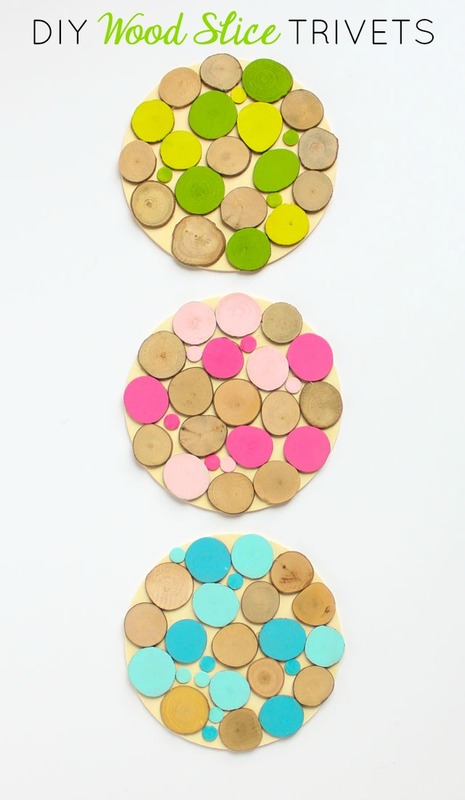 These just require a few simple supplies – wood discs to use as the base, wood slices to glue on top, and paint to make them pop. You just want to make sure all your wood slices are the same thickness so that the trivet is level. You can use the same technique to make smaller coasters. 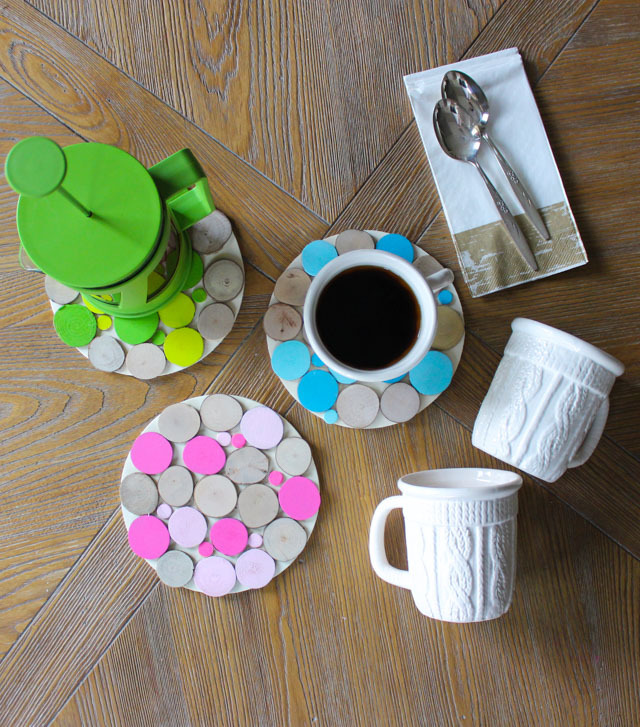 Head to Oriental Trading’s Fun365.com for the step-by-step wood slice trivet tutorial and full list of supplies! This post is sponsored by Oriental Trading.